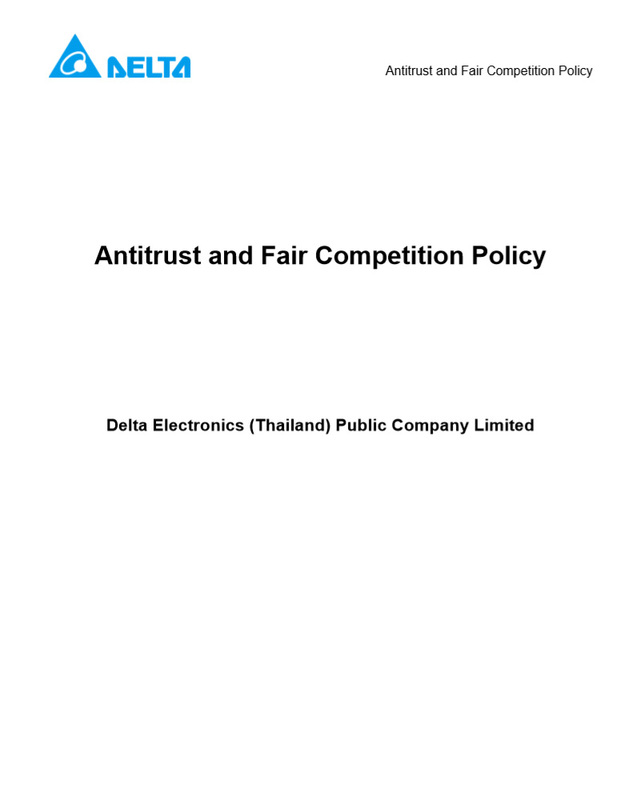 Antitrust and Fair Competition Policy | Delta Electronics (Thailand) PCL. Delta Electronics (Thailand) Public Company Limited has business operations in many countries all around the world. The company is required to comply with applicable laws as well as the rules and regulations wherever it operates. Antitrust Law and Competition Law play a significant role in maintaining the company’s reputation. As such, the company’s Code of Conduct prescribes that employees at all the levels should observe the provisions of fair trade law. It’s Delta’s duty to draft a clear policy in this area, so that executives and employees can understand the objectives of such laws for preventing monopoly and promoting free and fair business operations.